This post has been sponsored by Caply. As far as action cameras go, they don’t really need a lot of explanation; after all, you’ve obviously heard of them, and probably even used them at some point. However, this new action camera is definitely the kind that deserves attention. Caply — the name of both the camera and the company that makes it — is an action camera in every sense of the word but one — it doesn’t look anything like those boxy action cameras that are available in the market right now. 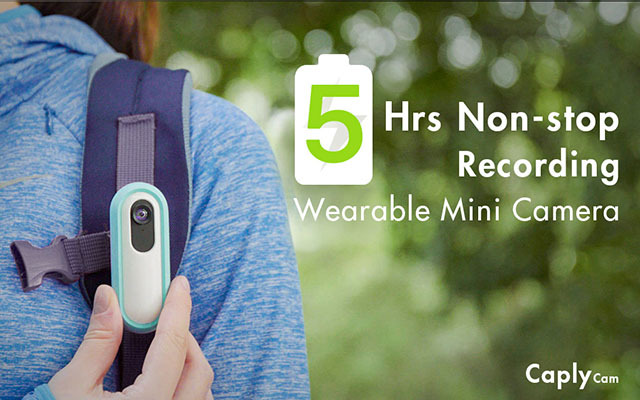 No, Caply is designed to look almost like a beautiful accessory rather than something that looks ‘functional’ at best. At just 6cm in length (the company compares it to a lipstick on Kickstarter), and with a cute cylindrical design, Caply looks absolutely brilliant. Speaking of which, the design isn’t all that’s noteworthy about this camera; it’s packed with a ton of great features. Features you wouldn’t find on other action cameras. The camera comes with a 140 degree wide-angle camera that shoots in Full HD, and utilizes EIS to save users from shaky videos. That was the boring part of the features, to be honest. There’s more to the Caply camera, and it’ll blow your mind. First, the camera has voice control. So you can say something like “Caply, take a photo,” to take pictures. A single tap on the camera takes a photo. A double tap starts a video recording. A quick swipe up records a 10 second short video. A quick swipe down records a time-lapse. 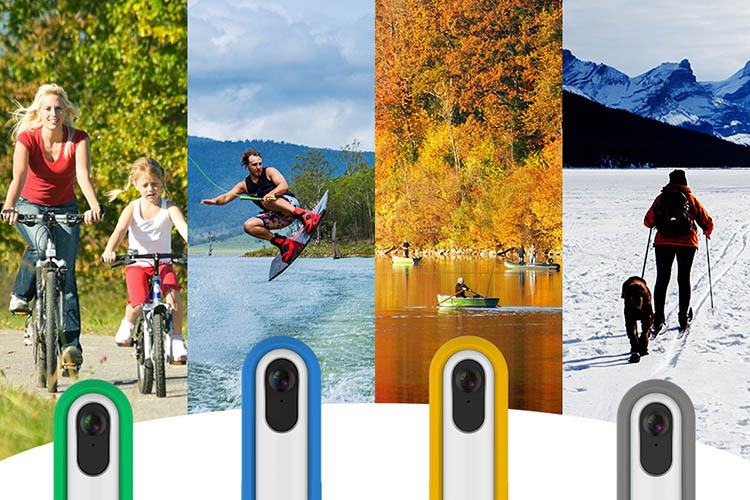 With a battery life rated at 5 hours of continuous recording (and a 120 hours of standby), along with an expandable storage that can go up to 128GB, the Caply is basically the only camera you’ll need on adventures, travel, and even while just having fun in your everyday life. Also, the Caply camera has a ton of accessories built specifically for varying use-cases, including a cute looking stand that’s called, well, ’Stan’. The camera almost looks like a minion when kept inside one of these, and believe me, that’s very cute. There are accessories to clip the camera on a bag, your shirt, your belt, along with accessories to wear the camera on your arm (that one is called a ’Straple’ by the way). There’s one to wear the camera on your neck (‘Neckle’; I’m not making these names up), and one for underwater shooting (‘Nautilius’). There are a lot more; in fact, the company has an entire ‘GoPro Pack’ that comes with tripods, stands, suction mounts, selfie sticks and whatnot. If you’re wondering why you might need ‘Stan’ for an action camera, well, what if you’re live streaming from your home? Yeah, the Caply camera can do that too. It supports live streaming on Facebook, so you can share what your camera sees with all your Facebook friends. True, the 4K is missing, but at $69, this is one of the most affordable action cameras out there, and is definitely worth the price for the features it offers. The Caply action camera is currently on Kickstarter, and while the campaign has reached and crossed its funding goal by over 4 times already, there are still plenty of Kickstarter rewards remaining for you to claim. The company has set a June 2018 delivery deadline, and is offering free international shipping on all orders, so go ahead and get your hands on one of these before they run out.